For SKU 2135259030(2.8 L) we recommend purchasing this accessory kit 0000025026. 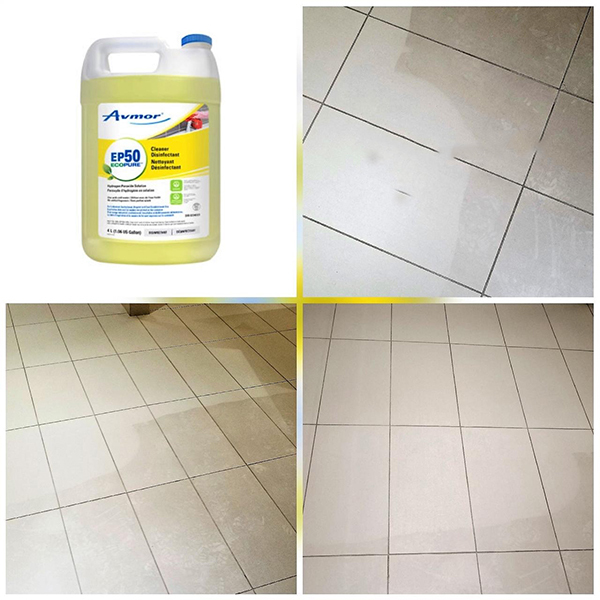 EP50 CLEANER DISINFECTANT is an all in one hydrogen peroxide based product: disinfectant, heavy duty cleaner, multi-purpose cleaner, glass cleaner, floor cleaner, carpet cleaner and carpet stain remover. 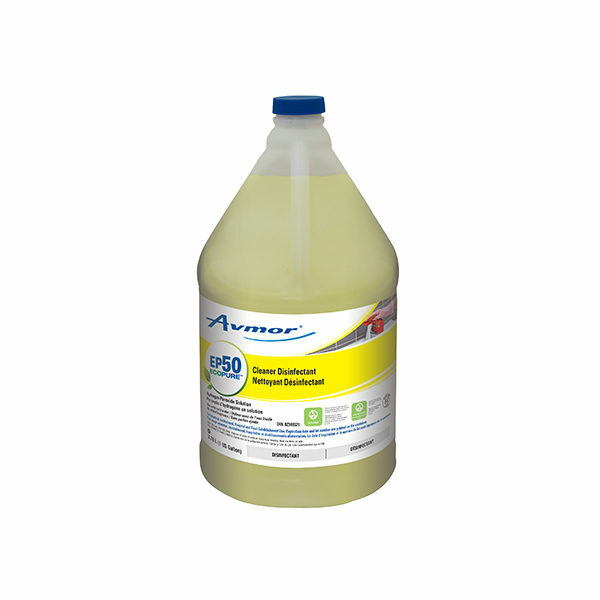 When used as directed as a disinfectant, it kills 99.99% of the following bacteria: Staphylococcus aureus, Salmonella choleraesuis and Pseudomonas aeruginosa and kills the following viruses; Herpes simplex virus Type 2, Influenza A2/Japan and HIV-1 (Human Immunodeficiency Virus) on hard non-porous surfaces in 5 minutes. 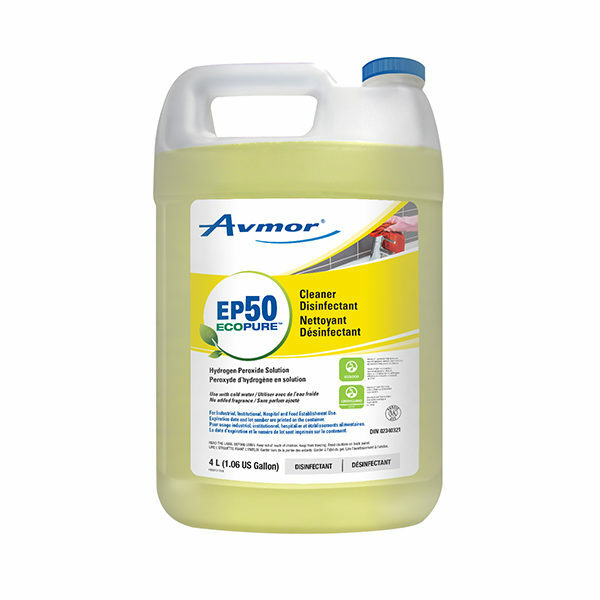 EP50 CLEANER DISINFECTANT has very low VOCs, which is optimum for use in hospitals, health care facilities, hotels, schools and food service establishments. Organic ingredients in this product are readily biodegradable in accordance with OECD 301 standard. Consult product reference sheet for more information on its effectiveness. NOTE: To avoid excess foaming, pour cold water first or place dilution control system as close to the side of the container being filled. This is a concentrate product: DO NOT USE UNDILUTED. Always use with cold water. 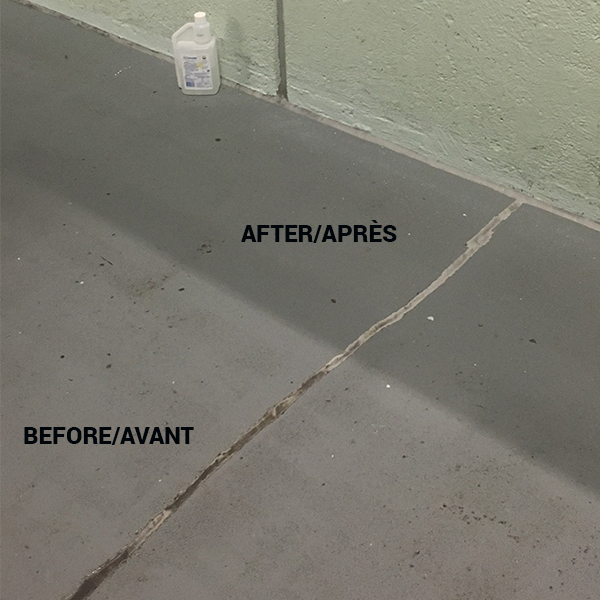 For disinfection, replace solution daily. 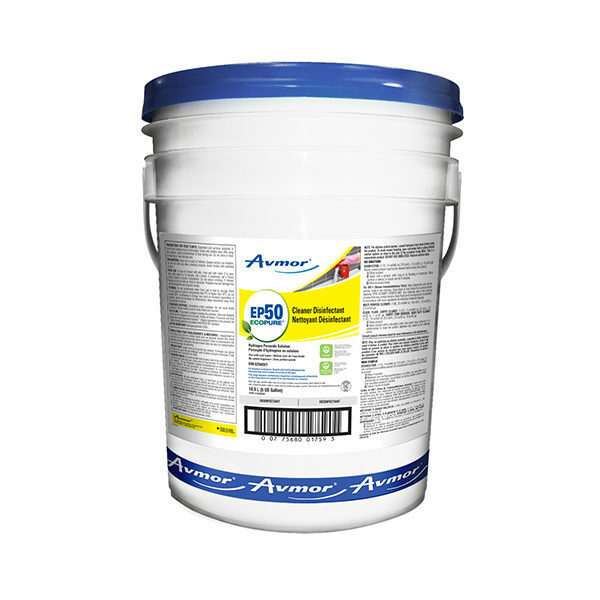 DISINFECTION: Heavily soiled surfaces must be pre-cleaned before using this product. 2) Apply with a sprayer, cloth, mop or by flooding or immersion. Allow surface or item(s) to remain wet for 5 minutes. For HIV-1 (Human Immunodeficiency Virus): Wear disposable latex gloves, gowns, mask or eye covering. Clean blood or body fluids from surfaces before applying the product. Any materials used in the cleaning process that may contain blood or body fluids are to be disposed of immediately in accordance with local regulations for infectious materials disposal. 1) Apply solution on a microfiber cloth to clean the surface. Agitation may speed up the cleaning action. 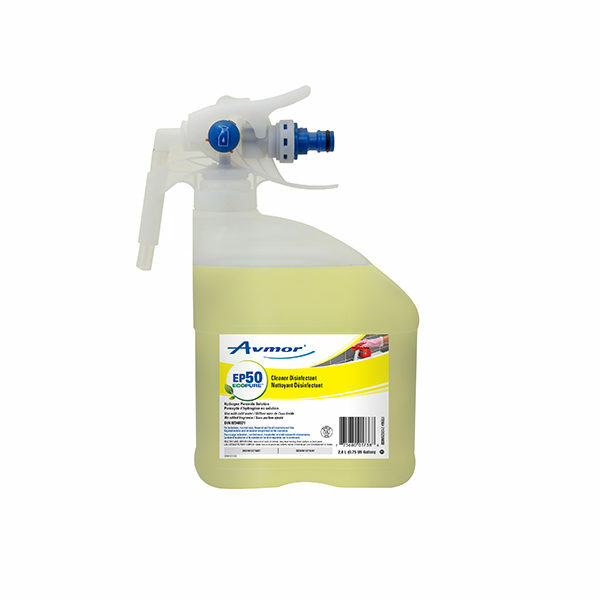 1) Apply with a sprayer or a microfiber cloth to clean surface. Agitation may speed up the cleaning action. 1) Apply solution with a mop or an autoscrubber to clean the surface. Agitation may speed up the cleaning action. 1) Apply solution to surface to be cleaned with a bonnet machine, carpet extractor, spray bottle, terry towel or brush. 2) Agitation may speed up the cleaning action. 3) Once soils are loosened, pick-up solution with an extractor, wet/dry vacuum or a damp cloth.